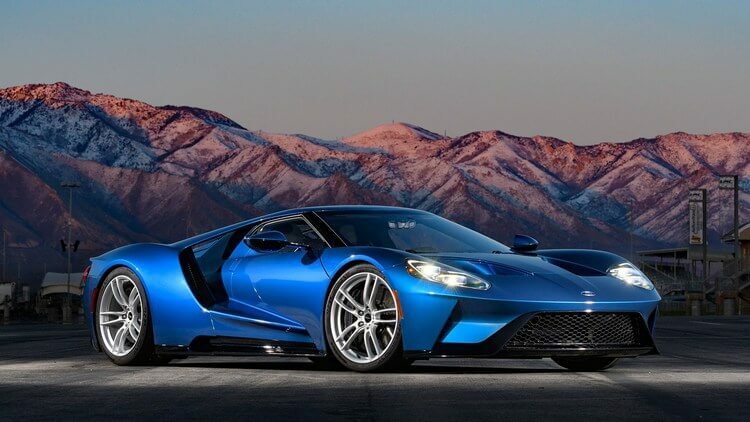 Home » Automobiles-Cars » 2017 Ford GT: Pressing Towards The Future! 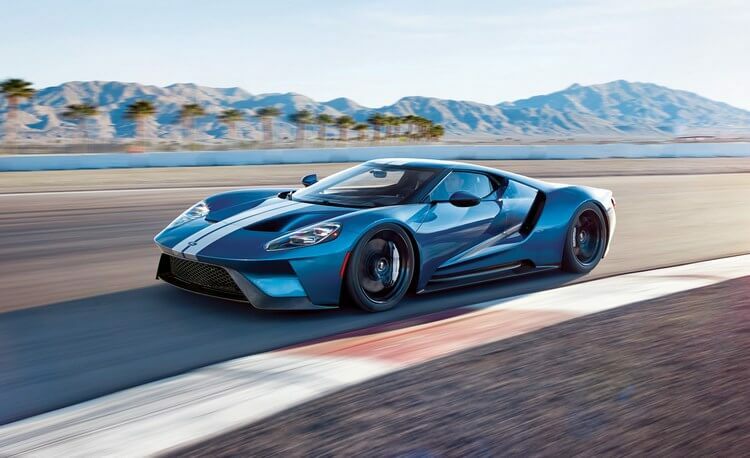 In the world of sports cars – supercars, there are tons of incredible speedsters like Ferrari 488 GTB, Lamborghini Huracan, McLaren 720S, Porsche 911, and more… All of these heavy European competitors possess the strengths of their own; however, let’s not forget that the American’s Ford Motor Company also has the trump card of their own: The Ford GT! Ford GT represents the memory of the legendary Ford GT40 even now. And while waiting for the upcoming 2018 Ford GT, why not take a look back at the incredible 2017 Ford GT? So with no further ado, it is time to ride on the GT 2017 again and experience what it offers! Needless to say Ford GT has been among the most prestigious series of Ford Motor Company. 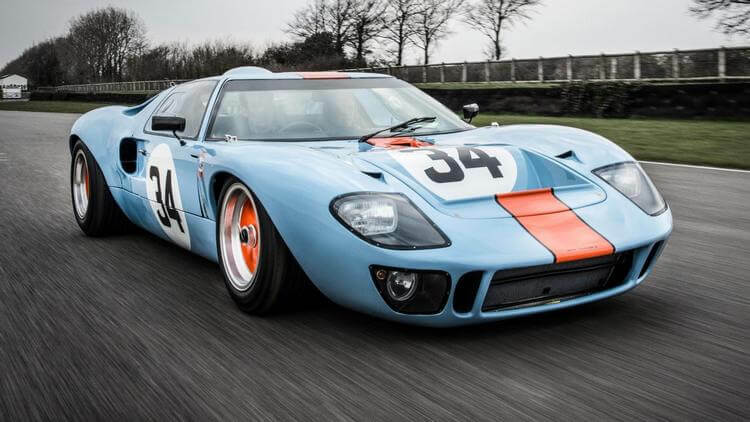 The GT is not only incredible in its own right, but also, it inherits an entire legacy of the legendary Ford GT40. It is said that everything began when the big man himself Ford Henry II was ready for negotiation to buy Enzo Ferrari’s company. However, when the negotiation was put on the table, Enzo closed the deal and The Old Man had no other choice but to return home. But as we have known, Ford did not take this lightly, thus decided to direct Ford’s racing division to build a mighty Ford which could take down the Ferrari. As the results, what we had was Ford GT40 – an outstanding track monster which achieved an incredible feat of being 1-2-3 finish at Le Mans in 1966. No doubt, Ford GT40 was the symbol of Ford’s prowess on track and nowadays, its legacy has been passed on its 21st century descendants: Ford GT. The Ford GT series is the innovated version of the GT40 with tons of new technological applications and renovations while still be able to maintain the spirit of the old legend. So, what does 2017 Ford GT have to offer? First of all, we have the “questionable” V-6 engine. At first glance, many people probably feel somewhat disappointed about this choice. However, turned out it is best suit for this car since the 2017 Ford GT represents the height of packaging, aerodynamics, and driving experience. Or in another words, it is not an engine car but rather, a chassis car. To bring the 2017 Ford GT into reality, Chris Svensson and a small team of 12 designers tried their best to shape this beautiful sculpture. There were 3 potential themes: reworking cues from the Ford GT40, performance efficiency optimization, and full beauty focus. And in the end, the final 2017 Ford GT design is a state-of-the-art combination of all concepts above. The GT 2017 was considered to be a race car on road and clearly, that statement is not just for show. 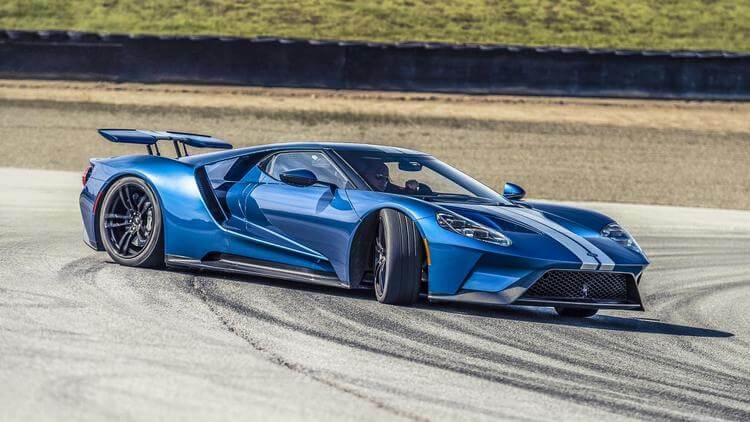 Since 2017 Ford GT focuses on aerodynamics and driving experience, its exterior is extremely optimized for low weight and higher aerodynamic efficiency while still be able to maintain an exotic, yet alluring look. The GT 2017’s body is mostly carbon-fibre and aluminum work with narrowed carbon tub towards the rear. The storage space is located on the rear; however, it is extremely miniscule. Its underneath was designed for aerodynamic optimization similar to race car style. And speaking of which, there are tons of aerodynamic enhancement details on the exterior design here. For example, we can easily spot the 2 giant flying buttresses besides the 2 side air radiators. Besides being look cool, they provide much better aerodynamic efficiency in channeling the airflow to the rear wing and also provide higher rigidity. There are also 2 large rear holes at the center of the brake lights which lead the air out. Another significant element is the rear wing which can automatically shift its position up and down depending on different modes. Furthermore, it can change shape in order to modify the downforce production, while its lid can give extra downforce. Under hard braking, this wing also acts as the airbrake. People who expect to see a more modern interior design will probably not like what they have done with 2017 Ford GT. The interior space is narrowed down, while the seats are fixed and both driver and passenger are likely to sit shoulder to shoulder. At first glance, the interior space may look extremely cramped but turns out, it is actually somewhat comfortable. This sort of narrowed interior design is also understandable since the overall aim of GT 2017 is low weight and aerodynamic optimization. For instance, the interior space is narrowed in order to save space for other aerodynamic elements, typically the giant flying buttresses we mentioned above. There is barely any space to put anything here. The boot space is quite minimal, although luckily it does feel that uncomfortable behind the steering wheel. The steering wheel also has a pretty interesting design choice. Simply put, it follows the race car-style which includes lots of control buttons. In this case, 2017 Ford GT’s steering wheel features 18 different buttons from windshield, turn signal, to mode switch. The reason for this is because the seat do not move and again, to save weight. On the other hand, other interior controls follow the traditional style involving buttons and dials, rather than luxury design. Despite being minimized in terms of space and lacked of luxury, sitting in the 2017 Ford GT’s cabin is a fascinating experience indeed. Remember, the goal here is not to look good but instead, to enjoy the awesome ride which this GT can offer. Now let’s take a look at the controversial V-6 of 2017 Ford GT. It is 3.5-litre twin-turbocharged EcoBoost V-6 which capable of unleashing 647 horsepower and 550 fb-ft of torque. The car overall can reach the max speed of 216 mph and only takes 2.9 sec to boost from 0 to 60 mph. This is indeed impressive given that the compact dimensions for the engine which help in reducing the car’s overall size. Once again, the power of 2017 Ford GT does not come from its powertrain alone but also its incredible aerodynamics and downforce. The GT 2017 also includes 5 different modes: Normal, Wet, Sport, Track, and V-Max. In Normal mode, the car feels like a tamed beast on road while the 7-speed dual-clutch transmission shifts really smoothly between different ratios. But when the Sport or Track mode is turned on, the anti-lag system will activate and the time-to-torque at 3,000 rpm will reduce from 1.2 sec to 0.7 sec. That is when the true inner beast will get wild. As you start the engine and run the GT 2017, you will quickly realize that you are riding a furious monster. Then with V-max mode, the active aerodynamics will provide minimal drag while the stability is pushed to the limit, and ultimately what we have is an insane 216 mph. At first glance, the V-6 may feel lackluster compared to the V-8 but only when you experience it by yourself, that’s when you realize this one definitely comes out among the top of V-6. And indeed, this is one of the most powerful Ford’s engine for street-legal car to date! Most people who have experience the 2017 Ford GT will probably on this: it feels so good and agile! 2017 Ford GT possesses excellent steering capability and along with it, incredible brakes and chassis responses. Such instant and fluid responses make it feels incredibly fast, so fast that we even don’t have time to rest or think. Just when we pass a quick corner, we will already see ourselves rushing down the track. 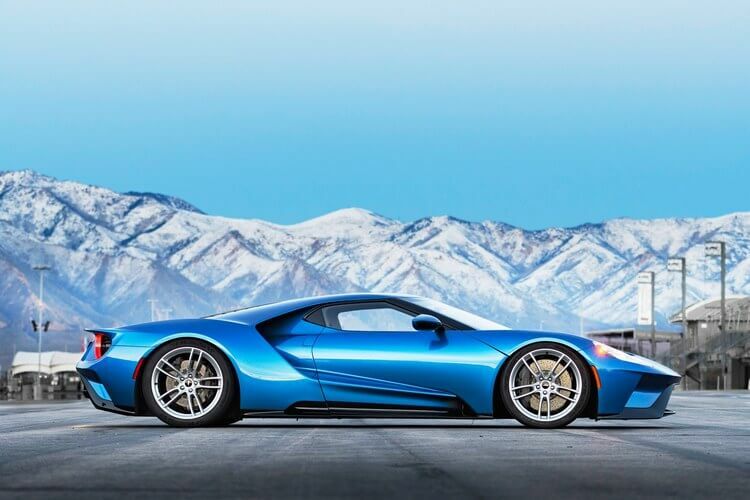 Thanks to its lightweight of 3,050 pounds, this Ford GT is so fantastic when it comes to changing direction. As everything pivots around us, we can always sense what is happening to the car and its movement. And in return, it is so agile and responds instantly to every input while still be able to maintain the balance. To some extent, we can say this beast is like a feline predator: fast, ferocious, yet flexible. In Normal mode, the car’s height is set at 4.7 inches while the rear wing will deploy at 90 mph. In addition, there is a Comfort option which provides calmer ride when travelling in bad road conditions. In Sport mode, the anti-lag system is activated while the traction control reduces its intervention level. The rear wing also deploys at 70 mph instead of 90. Finally, the Track mode delivers many handy features, for example, the rear wing rises up while the car’s height drops 2 inches. 2017 Ford GT feels incredible on track as it stays “vigilant” in almost all situations, especially, it can remain its stability even in high-speed during heavy breaking or through fast corners. Truly, the beauty of 2017 Ford GT does not only lie within the V-6. Its core value lies within the handling, the aero, the suspension, the cohesion, and the control. The 2017 Ford GT is indeed a fearsome beast on track. It may look raw especially when it comes to the cabin or carbon-fibre finish. However, such “lack of fanciness” does not equal to quality since the GT 2017 is all about spectacular driving experience. This speedster is agile, precise, responsive, and wildly fast. At the price of $400,000, some people may want to seek many other options but if what you care about is driving experience, 2017 Ford GT will not make you regret your decision. And that’s it folks! 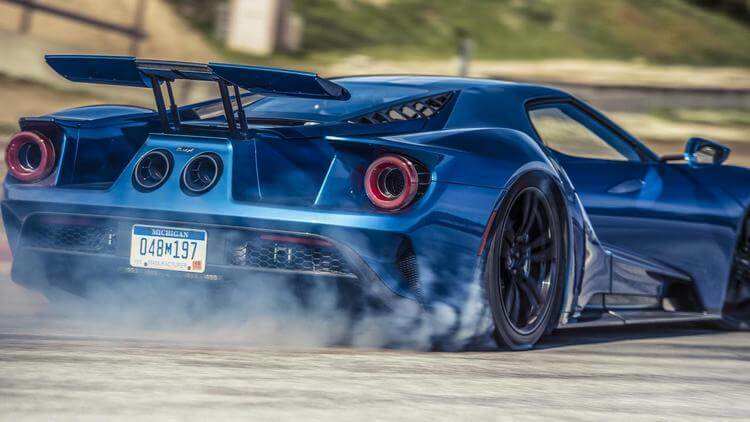 What do you think about 2017 Ford GT? Feel free to share with us and for now, thank you and stay tune for more news in the future! Pingback: 2018 Lamborghini Huracan Performante Review: Unleashing The Storm!